STSCS(SS) Wendell K. Dedmon, USN-Retired, of Cabot, AR went on eternal patrol on August 30, 2006 after a 16 year battle with chronic lymphoid lukemia. 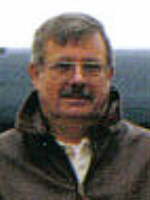 Wendell was a Life Member of USSVI and USS RAZORBACK Base, and served as Base Treasurer and Historian from 2002 until 2005. Wendell qualified on USS GROWLER (SSG 577) and qualified in 1960. He is survived by his wife Bessie of the home, two daughters Nona Davis and Amy Martin and one stepson, Charles Smith. Burial was at the Arkansas State Veteran's Cemetery in North Little Rock, AR on September 5, 2006. Wendell was a wonderful person and fine shipmate.